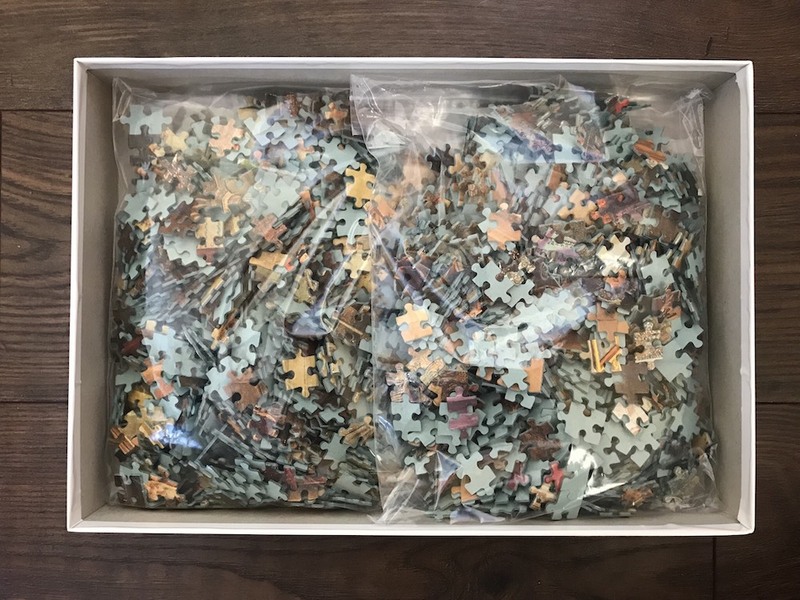 These are two interesting puzzles by Falcon that come in a single box. 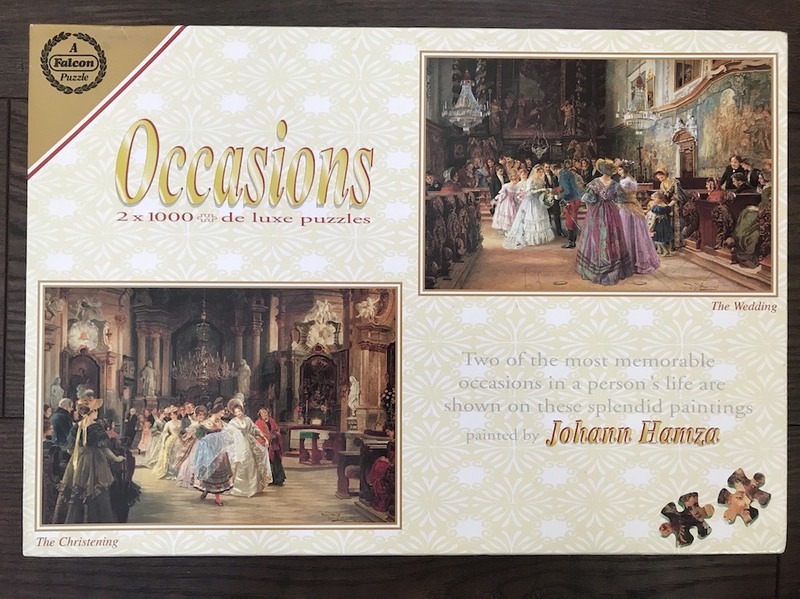 The title is Occasions, although the titles of the paintings are The Christening and The Wedding, by German artist Johann Hamza. We don’t know when they manufactured this puzzle, since Falcon doesn’t usually indicate the year in the box. 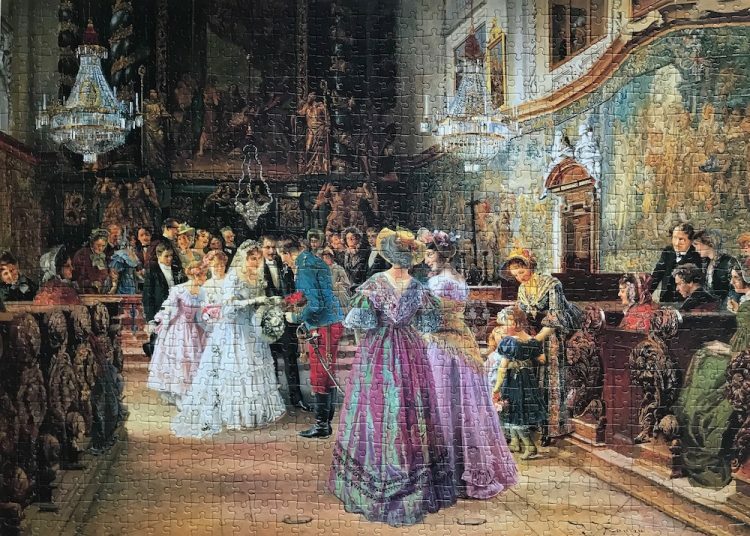 The two puzzles are COMPLETE, as you can see in the photographs. (2000 pieces). The pieces are in pristine, like new, condition. The box is in excellent condition as well. 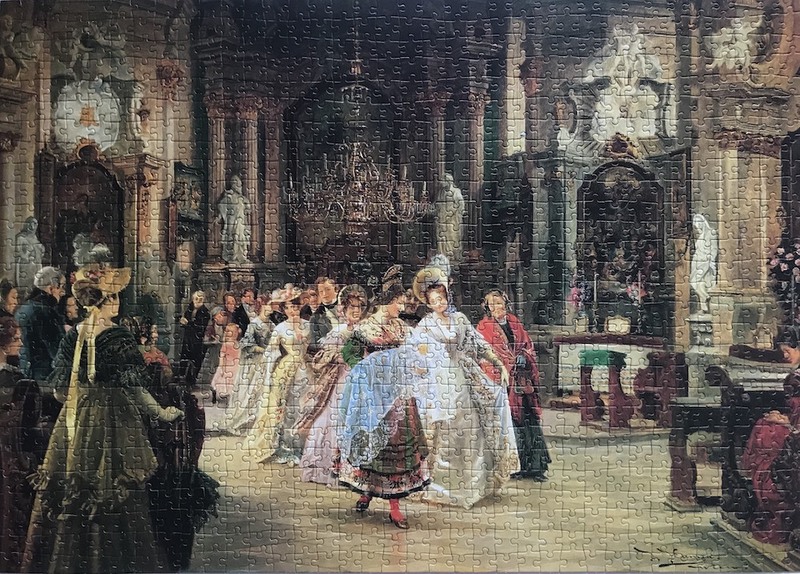 There are not many puzzles with paintings by Johann Hamza. Jumbo published a 2000 pieces version of In the Library. 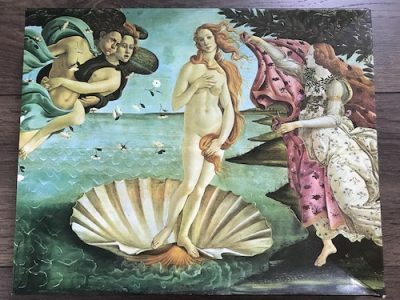 Puzzle size: 68 x 48.5 cm.